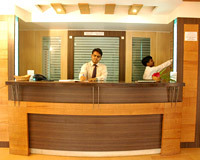 Hotel Saket Plaza is situated at a short distance from the main market. 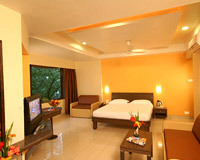 Nestled amidst verdant green surroundings, Hotel Saket Plaza is one of the ideal staying options in Mahabaleshwar. Offering splendid views of valleys and lakes, the hotel gives an exceptional opportunity to rejuvenate and re-unite with nature. 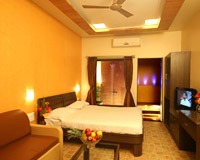 Whether on romantic honeymoon, or family & group trips, it offers all the facilities to satiate all kinds of visitors. Boasting of an elegant architecture, the hotel enjoys a tranquil location a short walk away from the main market area. The hotel features swimming pool, water fall, Tree-House, colorful fountains and garden, which altogether make it more fascinating place for staying. 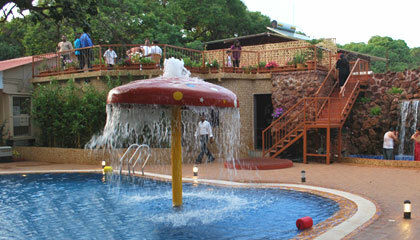 Accommodation at the hotel exceeds to the expectations of the guests and assures them a relaxed living experience. 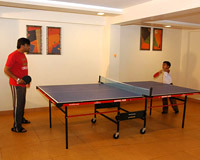 In brief, Hotel Saket Plaza is an ultimate place to enjoy a memorable sojourn in Mahabaleshwar. 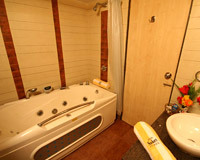 The hotel offers an array of attractively decorated AC rooms, classified into Luxury Rooms, Club Rooms, Cottages, Premium Queen Rooms and Premium King Rooms. Each room is prepared with contemporary amenities for a memorable staying experience. 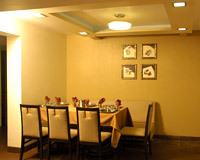 Hotel Saket Plaza has a dining hall where various appetizing pure vegetarian dishes are served.